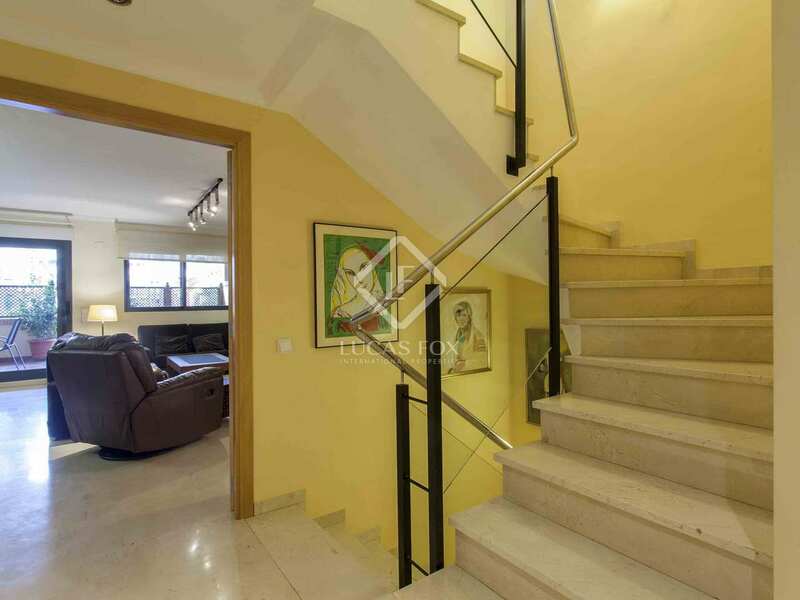 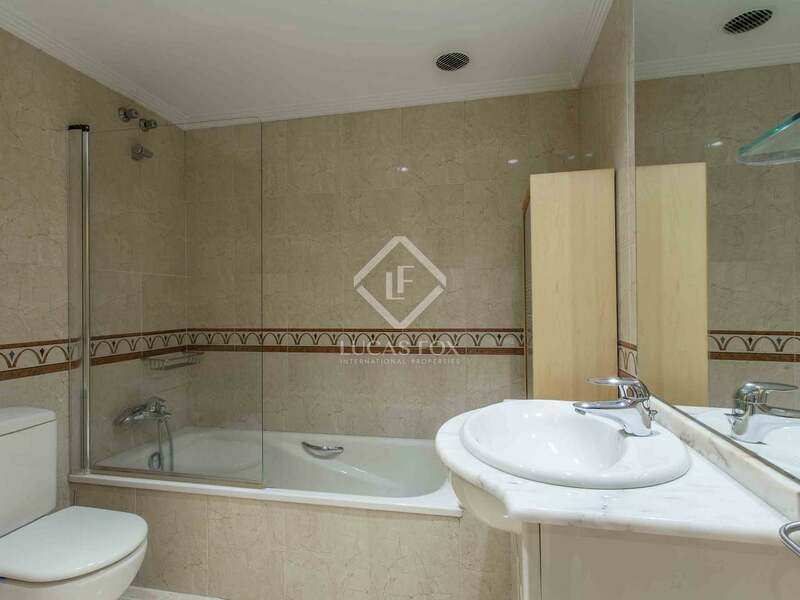 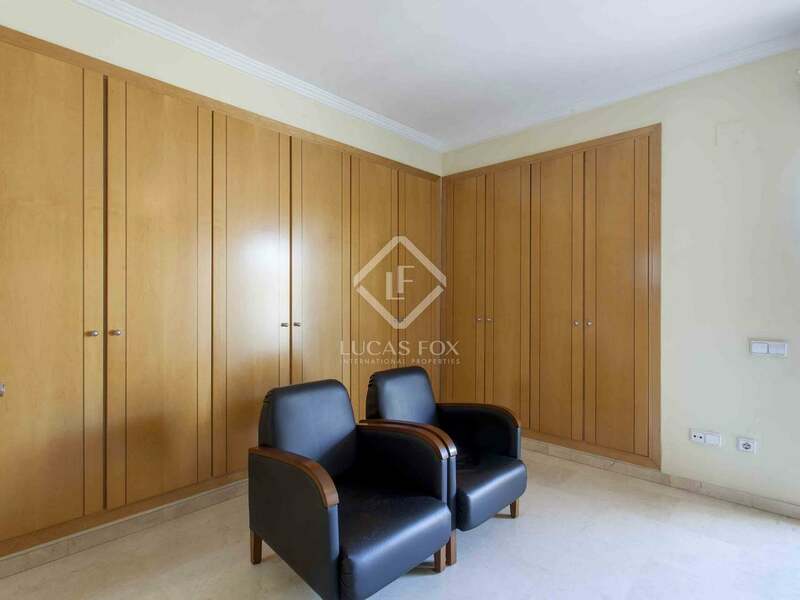 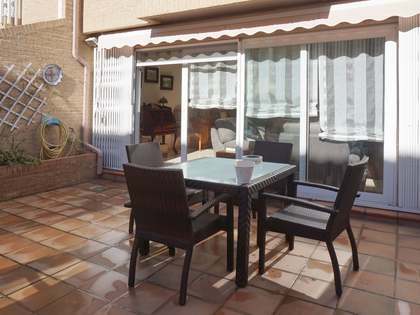 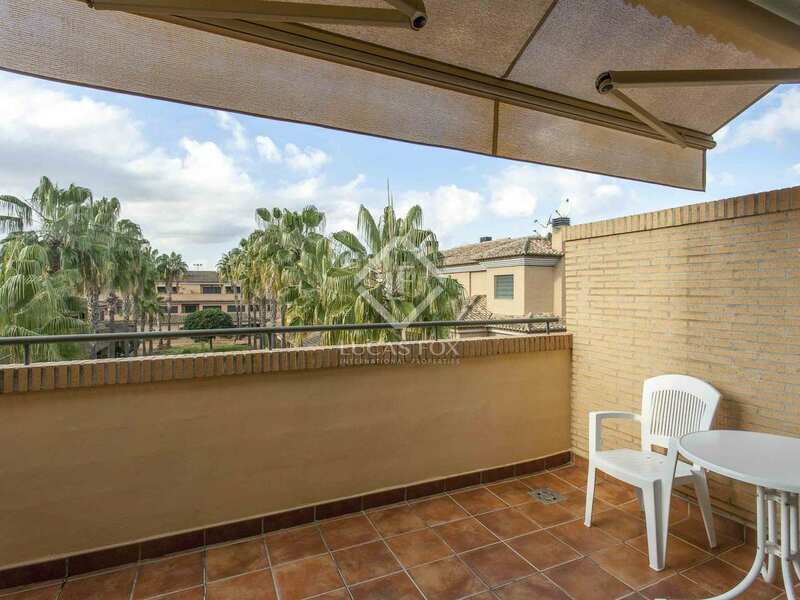 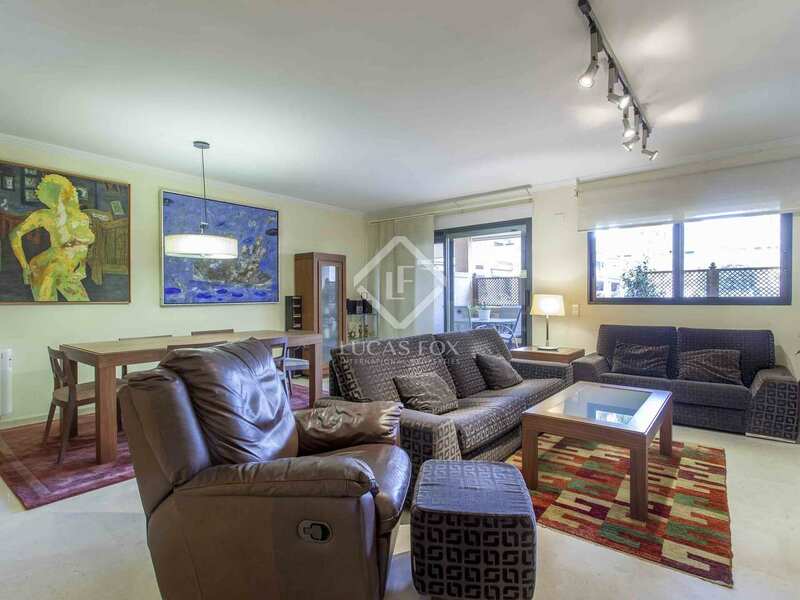 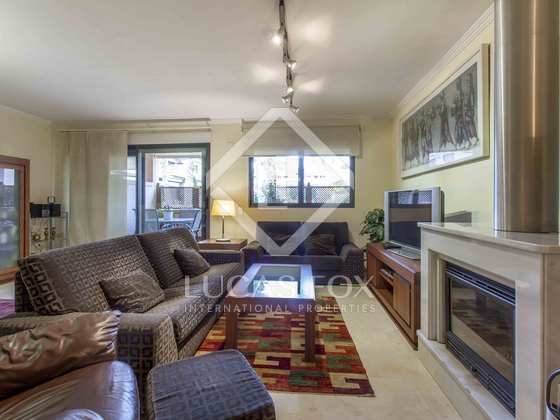 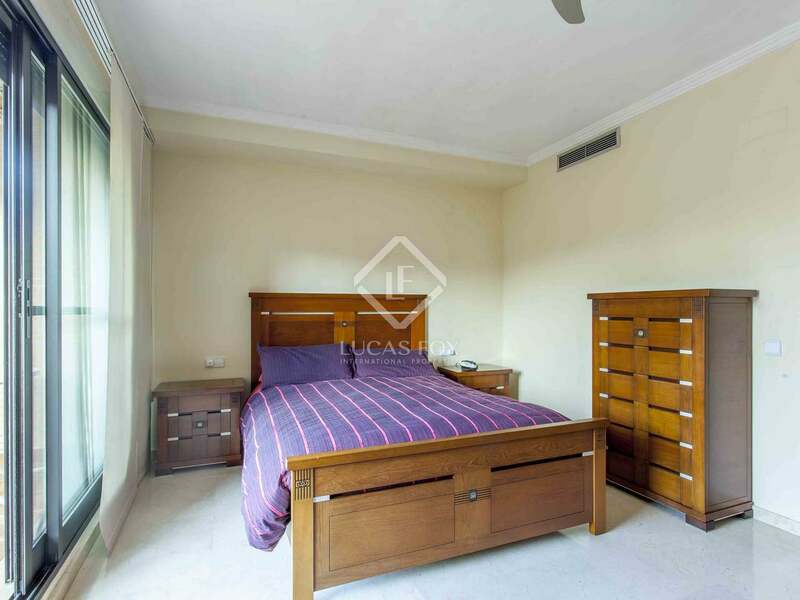 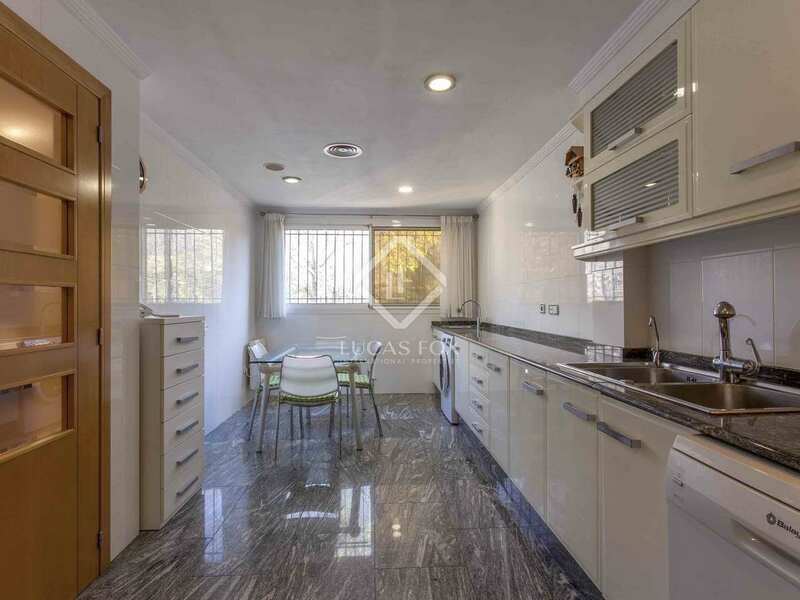 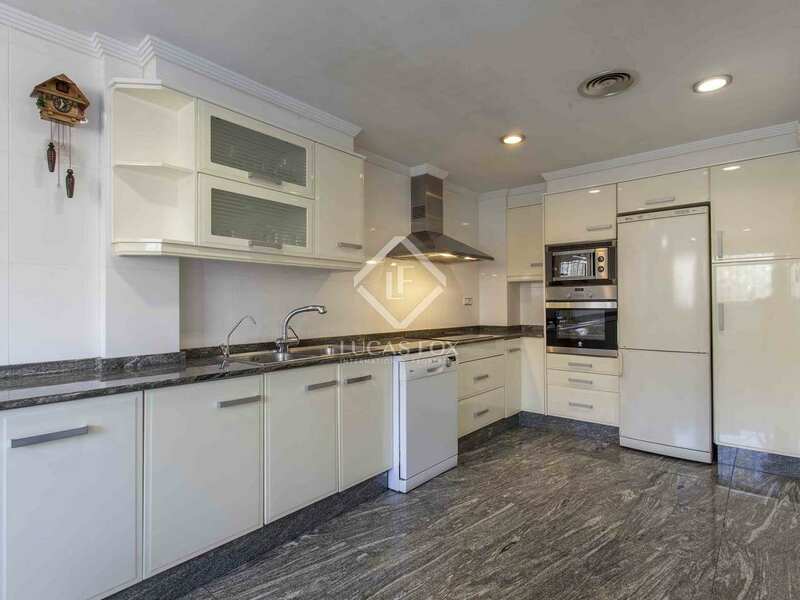 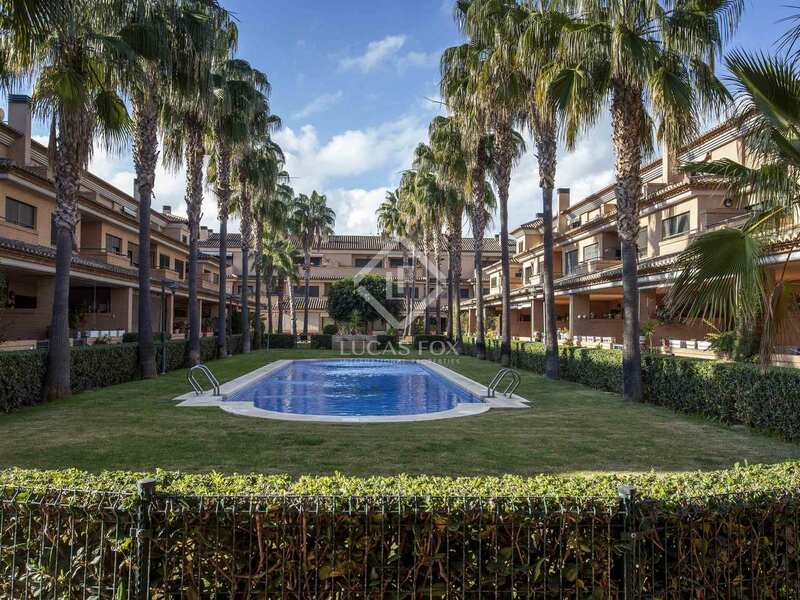 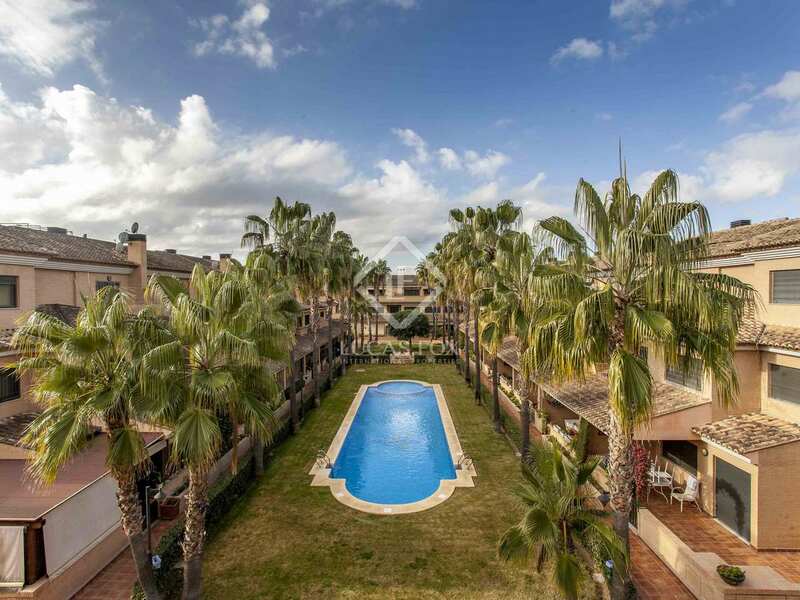 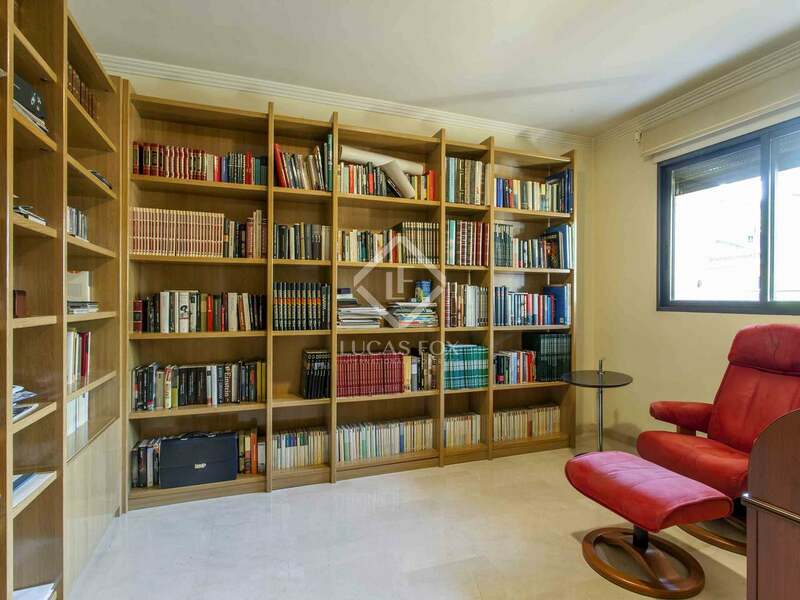 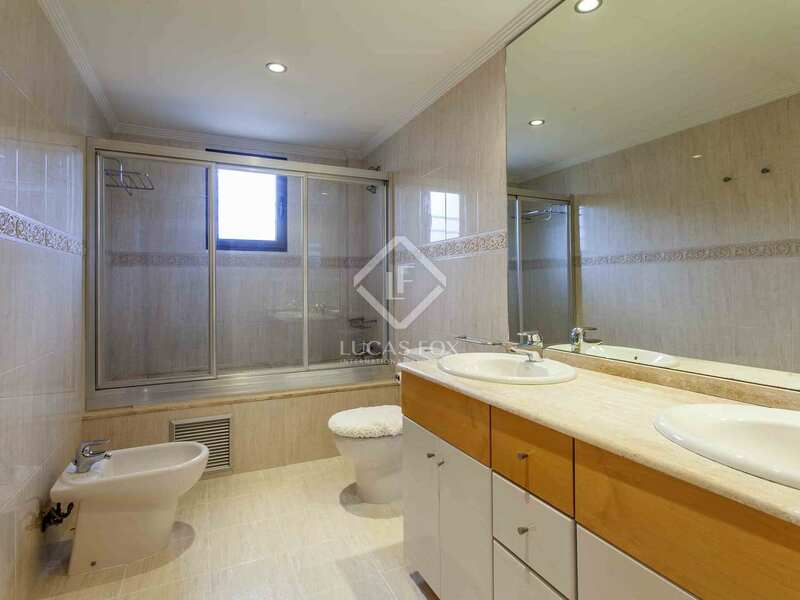 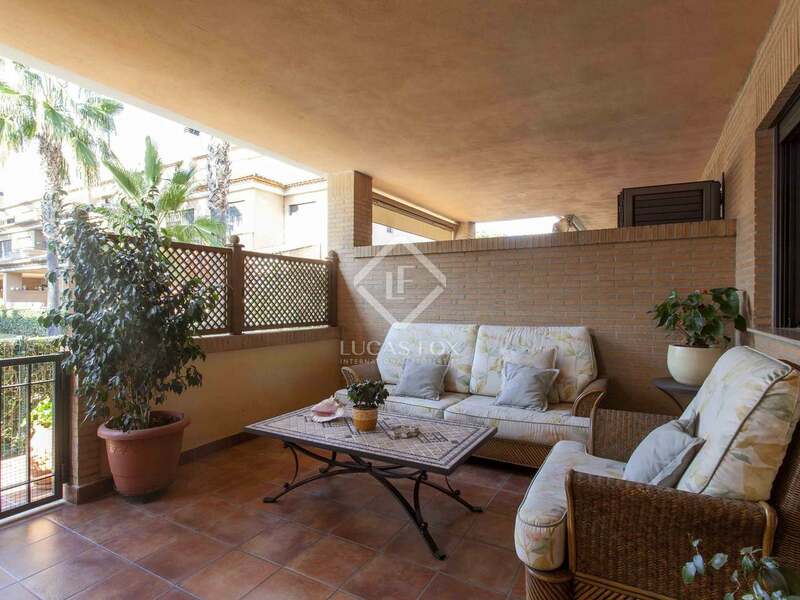 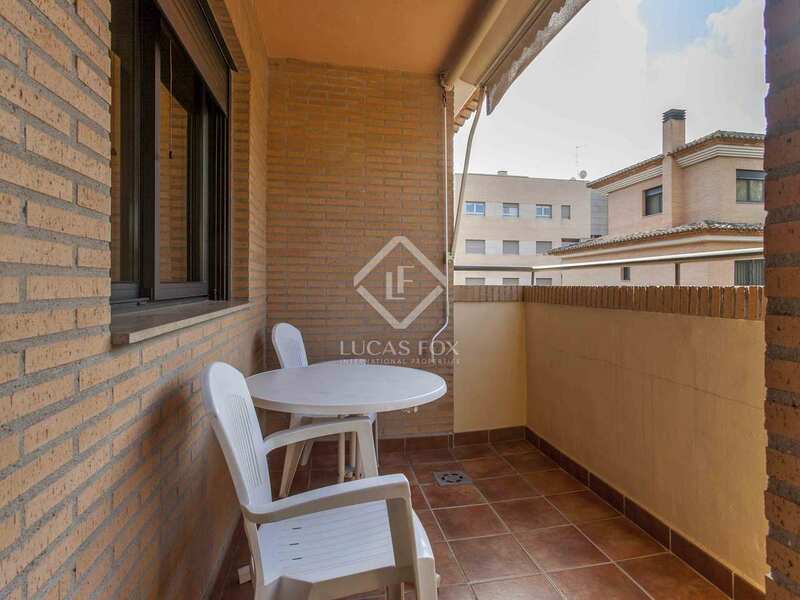 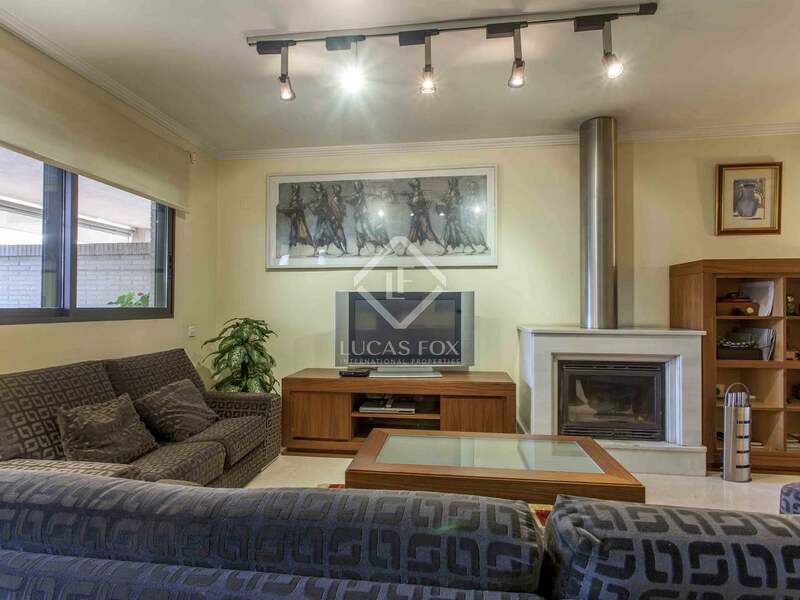 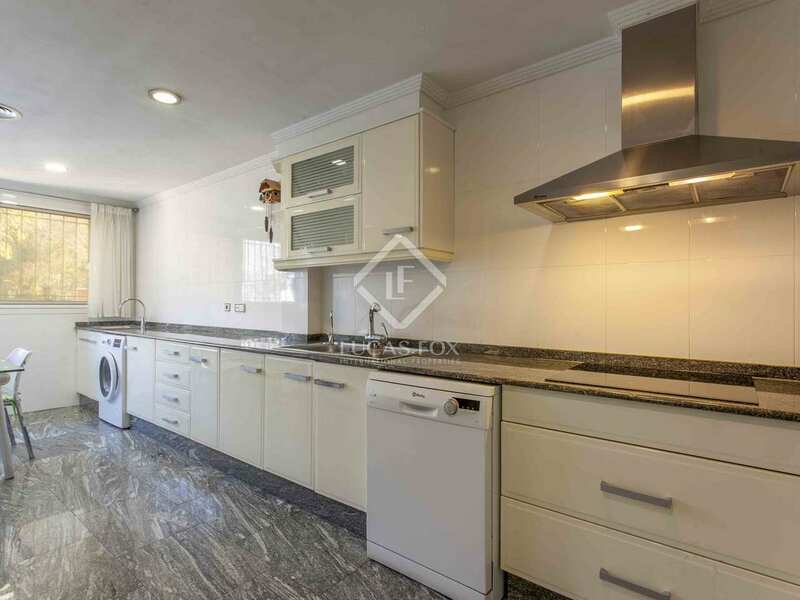 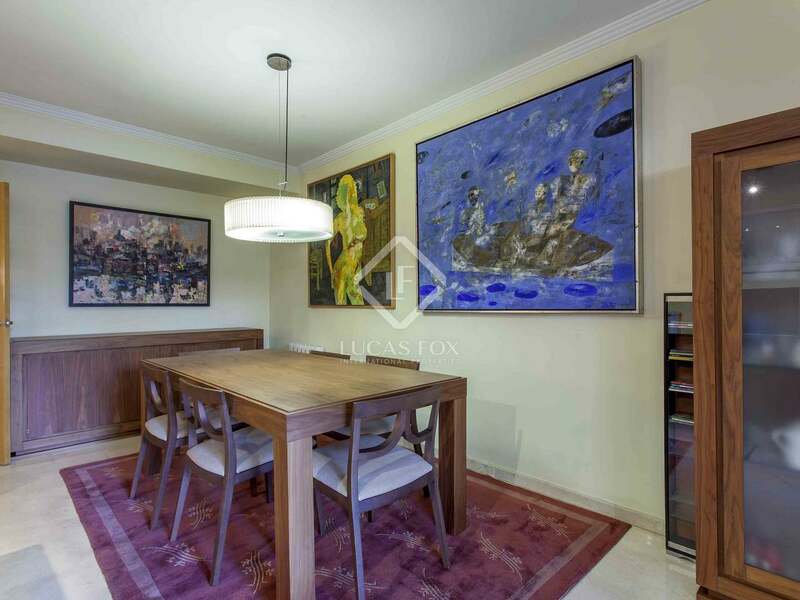 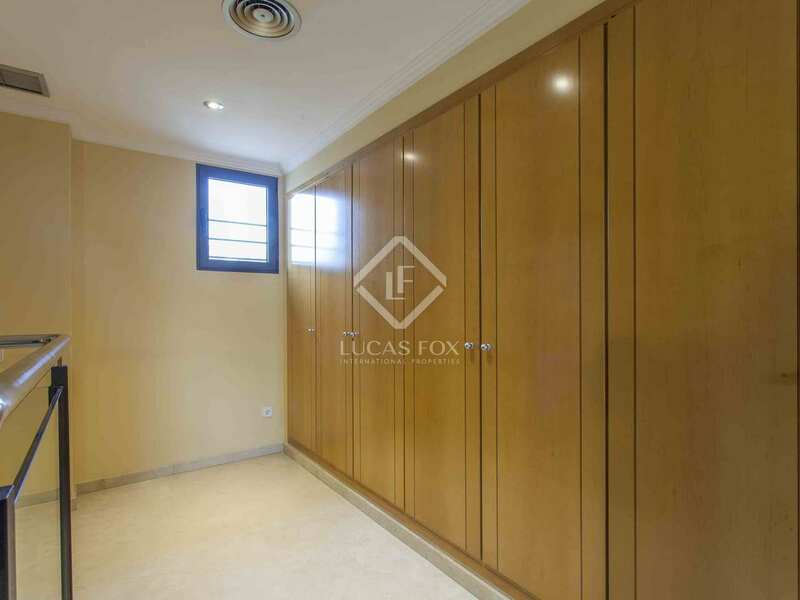 This magnificent 300 m² house is located in one of the most highly demanded areas in Valencia, next to Cortes Valencianas in Palacio de Congresos. 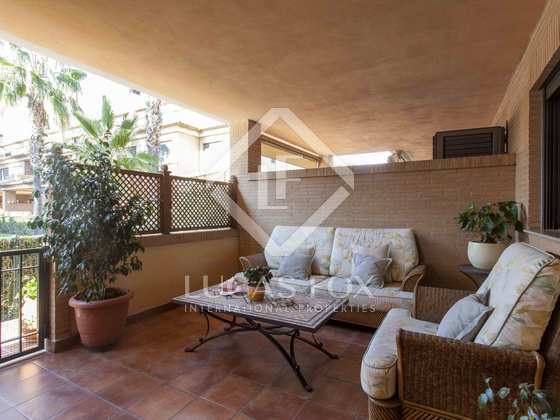 The house has access to a communal garden and pool and offers 2 parking spaces: a luxury in a city location. 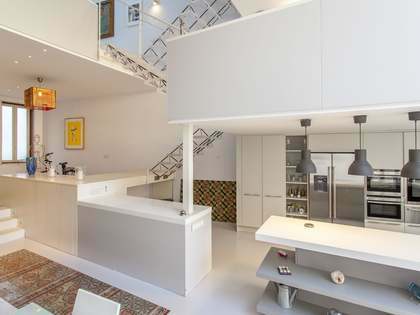 The house is distributed across 4 floors as follows. 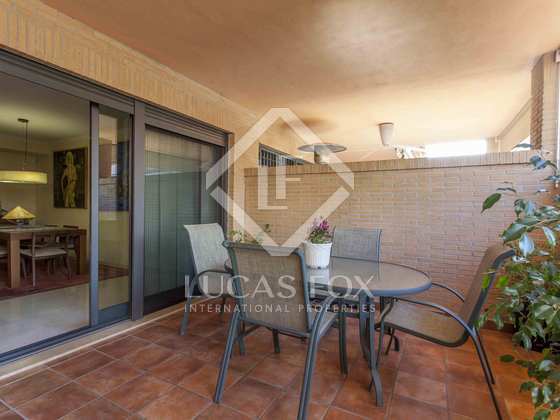 The ground floor offers a 60 m² living room with a fireplace, abundant natural light and access to a porch from where you can enjoy wonderful views of the garden and communal pool, a comfortable kitchen and a toilet. 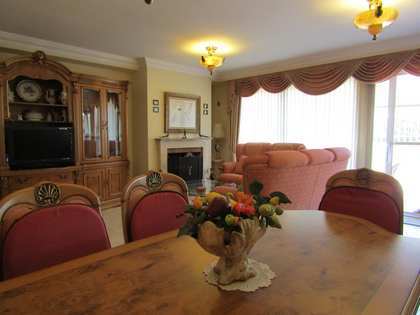 We head up to the first floor, with 3 double bedrooms with fitted wardrobes and 2 full bathrooms that serve these rooms. 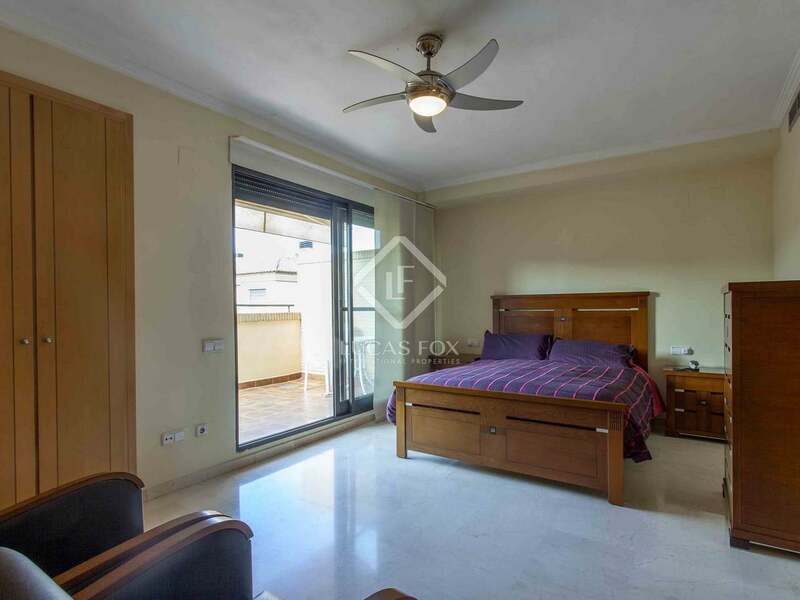 In addition, this floor also has 2 terraces connected to 2 of the bedrooms, perfect spaces to relax after a long day whilst enjoying the enviable climate. 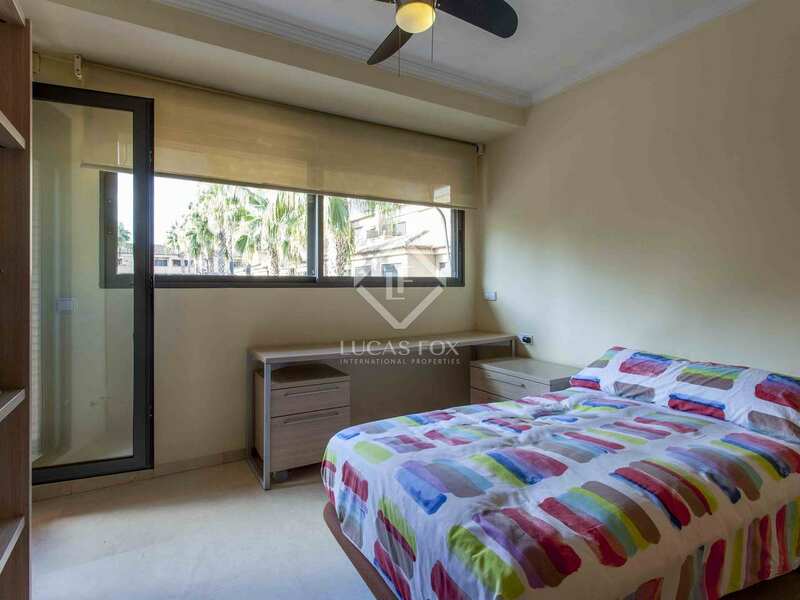 The second floor consists of the spectacular master bedroom with en-suite bathroom, fitted wardrobes and access to a terrace, a practical built-in closet area to maximize the available space and an ironing area. 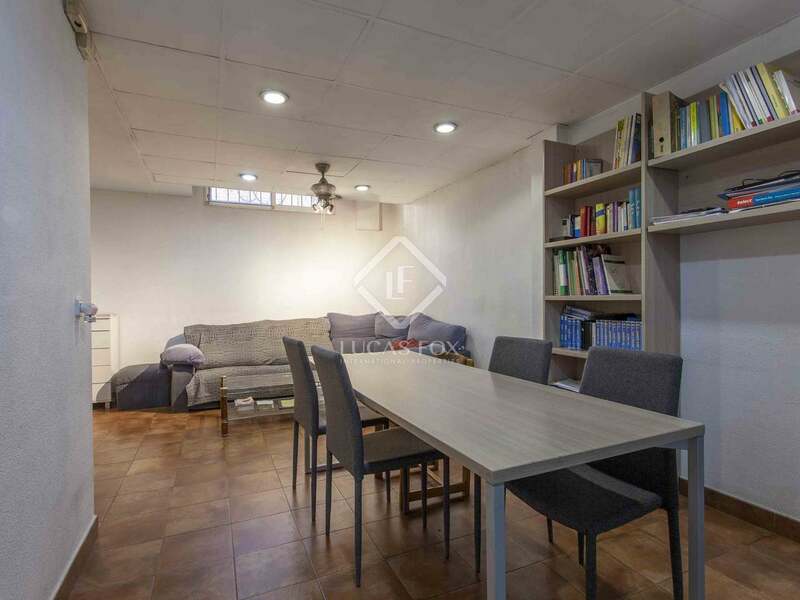 Finally, the semi-basement offers a private garage with 2 parking spaces and an open-plan area ideal as a games room. 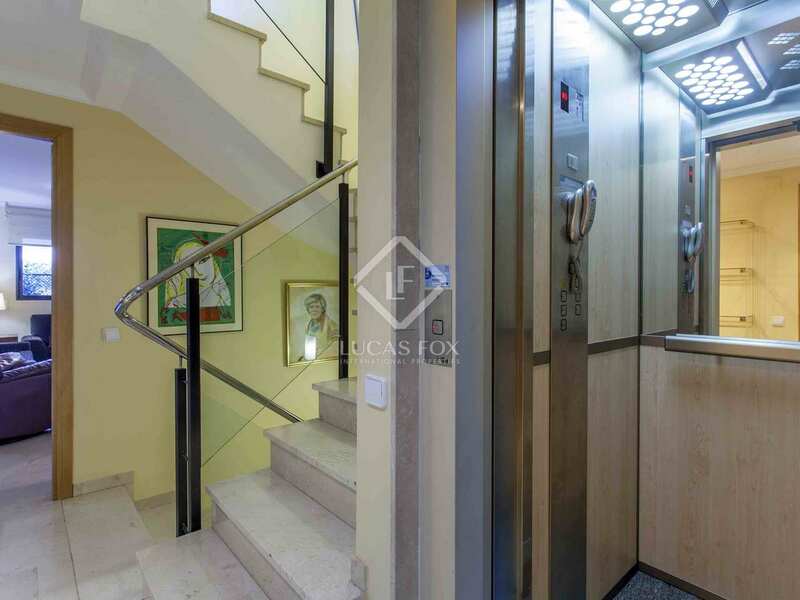 The house has a private lift connecting each of the floors, and is equipped with heating and a hot / cold air conditioning system to ensure comfort throughout the year. 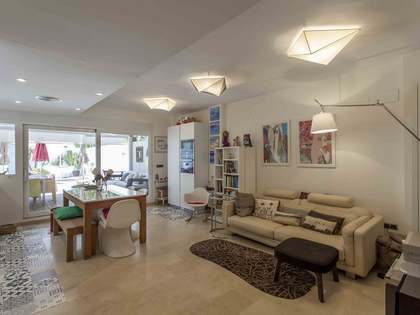 Contact us to visit this magnificent house in Valencia. 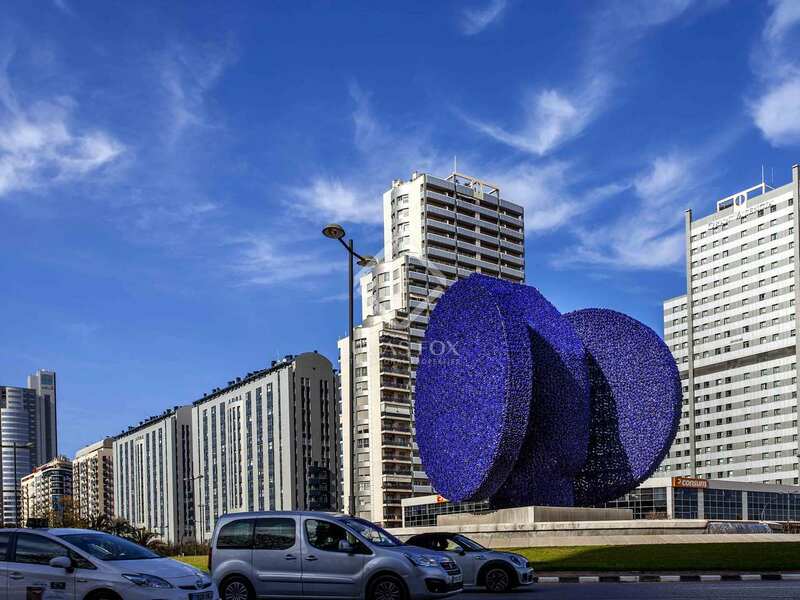 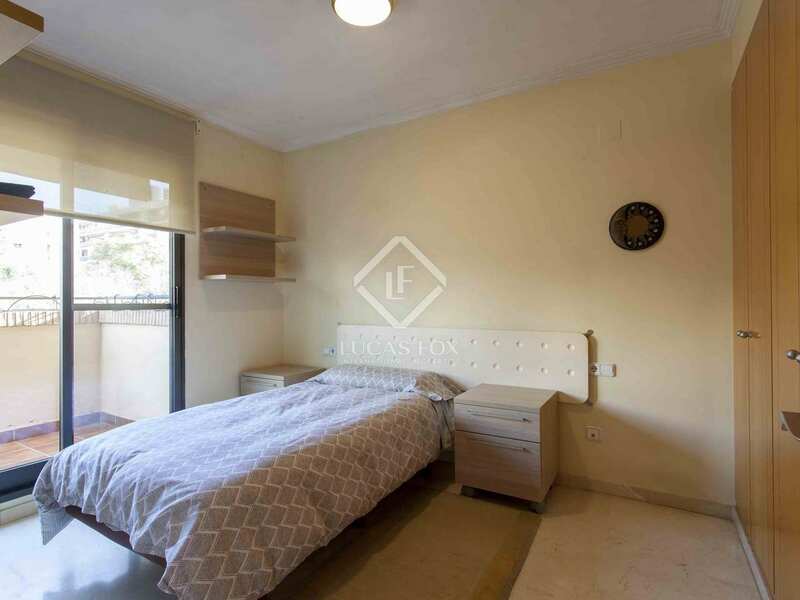 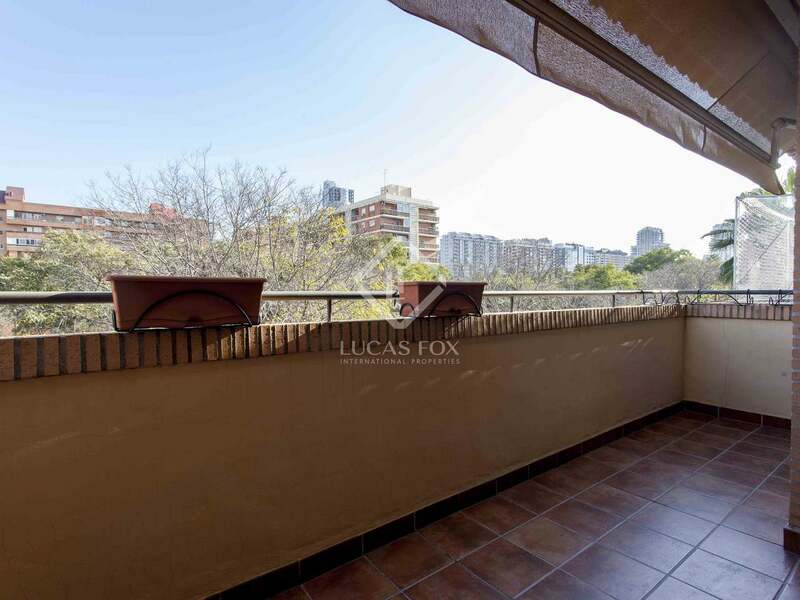 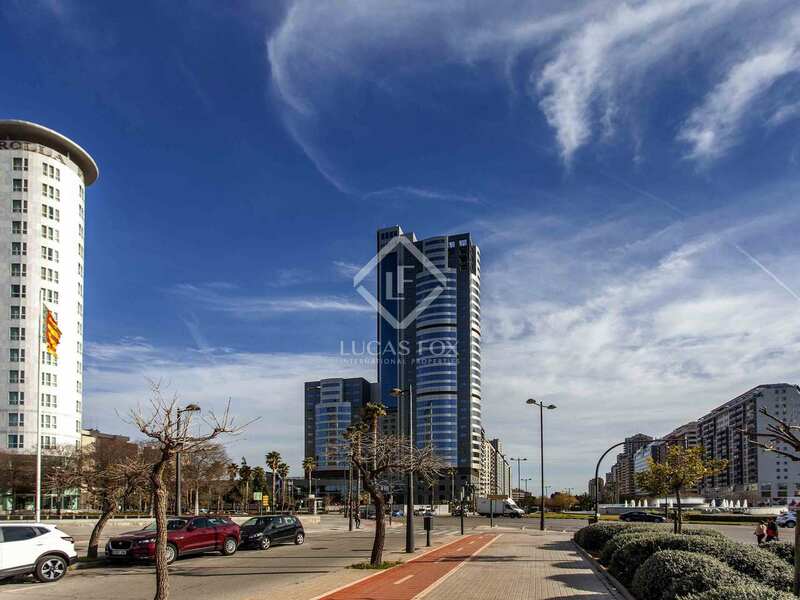 Property located at the entrance to Valencia in Palacio de Congresos, next to the CIRSA Casino and the emblematic Avenida de las Cortes Valencianas, one of the areas with the greatest expansion and growth in the city. 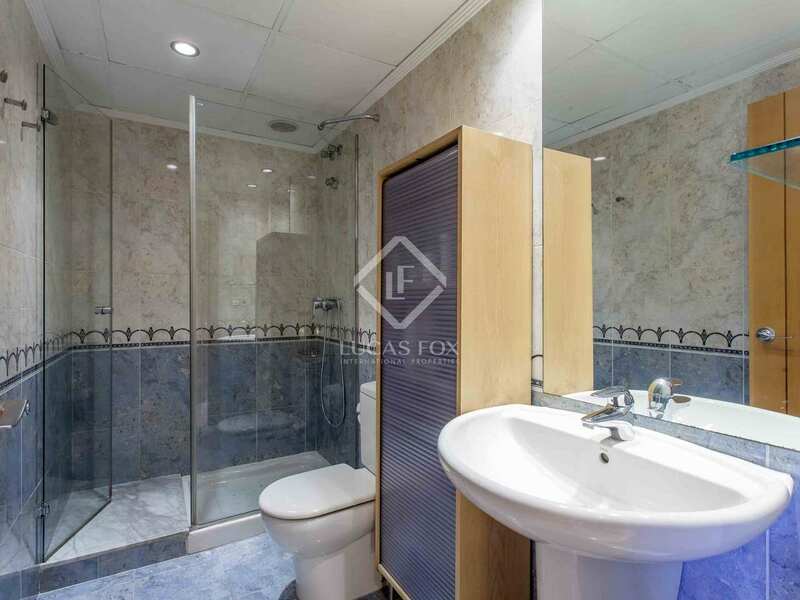 All this close to the city centre, which is only 10 minutes away. 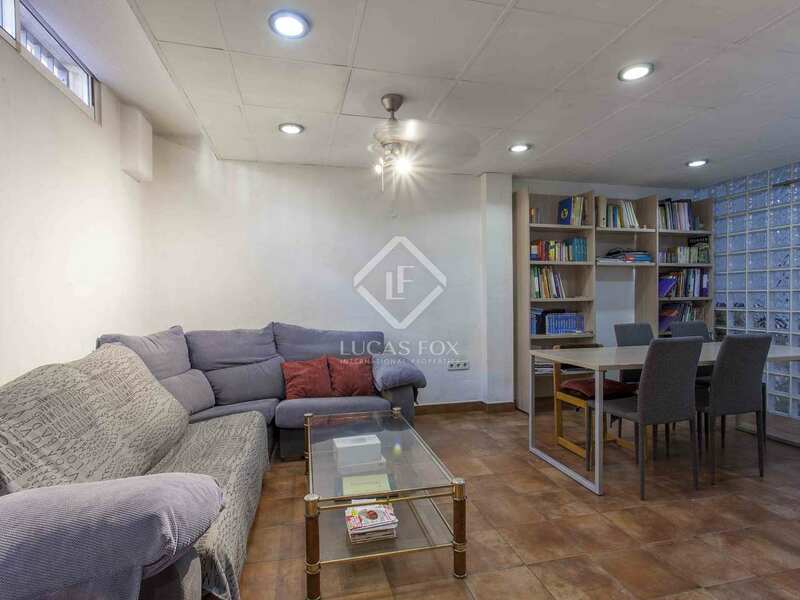 It is a quiet residential neighborhood perfect for families, which offers all necessary services, such as supermarkets, shops, pharmacies, health services and schools. 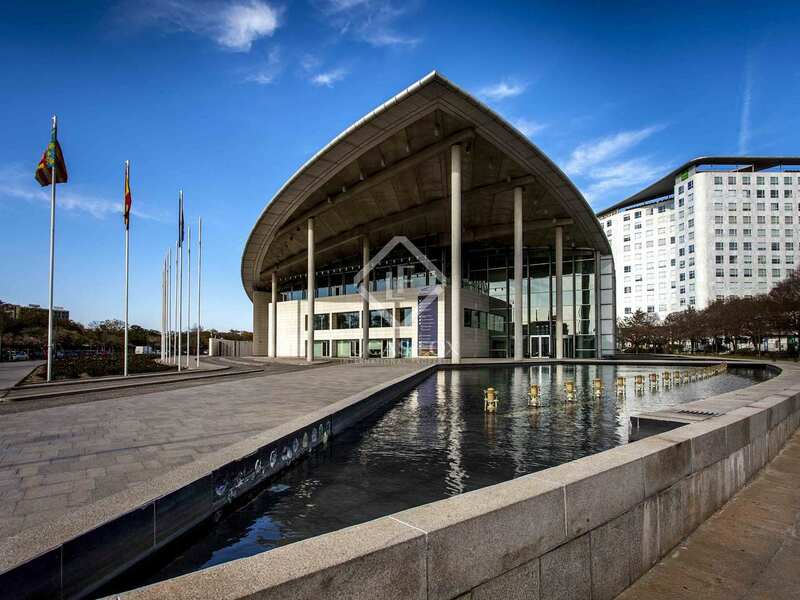 There are also good transport connections.